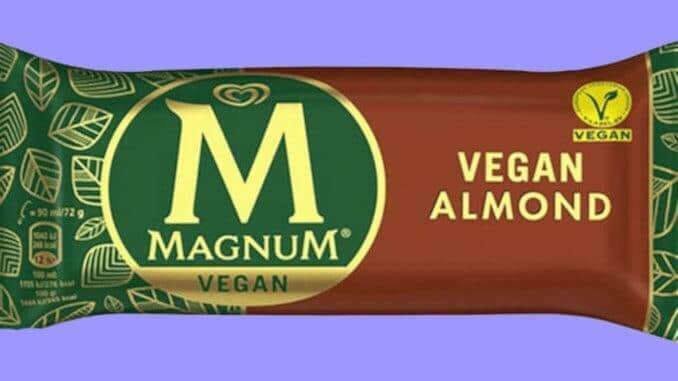 Unilever’s popular ice cream brand Magnum will add two vegan ice cream bars to its product range in September. For the time being, however, the new products will only be available in Finland and Sweden. The two new varieties Magnum Vegan Classic and Magnum Vegan Mandel will be available individually or in packs of four. The plant-based ice cream has already been tested and approved by the European Vegetarian Union. The manufacturer uses peanut protein as a milk alternative for the vegan ice cream. In addition, sustainably grown Rainforest Alliance cocoa beans are used for the dark chocolate that coats the ice cream. Magnum thus joins a whole series of ice cream producers who have already recognized the vegan trend and aligned their product range to the increasing demand. These include McConnell’s, Halo-Top, and Ben and Jerry’s.